This is a fairly extraordinary liqueur that Gaijin Tonic is going to scream about when he learnss that it can be bought only at Hamamatsu Brewery shop as they only make very small amounts of it! 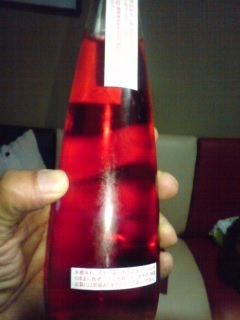 Red plums extract, Japanese plums extract, kome/rice sshochu. Natural sugars.